The Annual Australian Mining Prospect Awards have become the most respected awards program for the mining and minerals processing industry in Australia since its launch in 2004. The 10th Annual Australian Mining Prospect Awards will officially recognise companies and individuals for innovation and superior performance during 2012/2013. A panel of experts will categorise the entries into 15 key industry related categories and the winning companies will be presented with their awards at the Australian Mining presentation ceremony. Recognition for Superior Performance in the Mining IndustryNominating your company or an individual is an excellent way to acknowledge and reward superior performance. Each finalist and/or winner will benefit from publicity gained in the Australian Mining publications, website and other outlets. In addition, the Australian Mining Prospect Awards logo can be used in your advertising and marketing campaigns, trade show graphics, packaging and website. Submissions and NominationsAll nominations from mine personnel and mining companies/contractors in association with the Australian mining industry will be accepted. Submissions are completely FREE and can be submitted electronically via email, posted on a disc or USB. Finalist and WinnersFinalist and winners will be determined by a panel of judges with expertise in the Australian mining industry based on demonstrated innovation and superior performance in the industry. 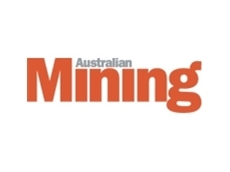 Finalists will be published in the November issue of Australian Mining and on the Australian Mining website. Winning companies will be presented with their awards at the Ivy Ballroom in Sydney on the 31st of October 2013 and feature in an awards wrap up in the December edition. 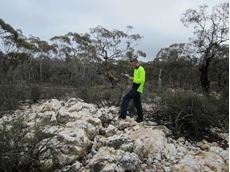 15 Key Categories in Australian Mining Winners are selected on the basis of improved productivity and reaching remarkable milestones using new technology, innovative processes or techniques to improve Australian mining. Australian Mine of the Year Community Interaction Contractor of the Year Contribution to Mining Hard Rock Mine of the YearCoal Mine of the Year Excellence in Environmental Management Excellence in Mine Safety, OH&S Explorer of the Year Mine Manager of the Year Minerals Processing of the Year Mining’s Woman of the Year Innovative Mining Solution People’s Choice Awards Young Achiever of the YearThe 10th Annual Australian Mining Prospect Awards is the perfect platform for recognising and rewarding achievements of individuals and companies who have shown tremendous innovation and superior performance during 2012/2013. 30/10/13 - The shortlist for the 10th Annual Prospect Award's Excellence in Mine OH&S. Dozer Lifter - Enerpac For the development of the DLS Series Dozer Lifter System, Enerpac have been nominated Excellence in Mine OH&S Award. Enerpac say the system was developed particularly for CAT D10s and D11s - features four-point custom synchronous lift technology to provide safe, level lifting and lowering for track and side frame maintenance of the dozers, while utilising single-operator lifting. "The DLS system is designed for deployment even at remote maintenance and service locations, where it can minimise the amount of time a dozer is out of service," Enerpac Australasia mining manager Warren Baltineshter said. Each lifting unit includes two hydraulically operated jacks with motorised locking rings for safe operation. Lifting and lowering of the jacks can be paused at any point, and the system will automatically secure the load mechanically until the operator is ready to begin lifting or lowering the dozer while a built-in alarm system will stop the synchronous lift in the event of malfunction. Safety Shower - Enware For the development of a battery operated shower and eyewash solution that can be used in remote locations, Enware have been nominated for the Excellence in Mine OH&S Award. The EM850 self-contained, battery powered unit incorporates a water storage capacity to operate both emergency shower and eyewash to AS4775-2007 standards, featuring a 1,350 litre tank with thermal insulation and thermal conductivity of less than 0.034 W/m/K. The EM850 does not need mains power or a plumbing connection and is contained within a robust stainless steel housing including crane connection points and a fully welded, integral pallet base to assist with transport and its relocation capabilities. Replaceable power is generated by two solar panel modules that are connected to a regulator which ensures the two maintenance-free batteries are always ready to go. The shower features a self-monitoring system. FIFO Counselling For the implementation of providing 24/7 on-site counselling to BHP's remote Yandi mine, Anthony Ward has been nominated for the Excellence in Mine OH&S Award. As principal counsellor and mine camp manager, Ward says is he the only remote onsite counsellor in Australia and has also claimed the title of the most capped mine camp manager, having headed 17 mine camps. Ward said a recent incident on-site represents the importance of his counselling services. Pipe Cutter - PIHA For the development of an engineering solution that removes operators from the direct handling of chainsaw used to cut HDPE pipe, PIHA has been nominated for the Excellence in Mine OH&S Award. According to the company the key design features incorporated into the design of the safer pipe cutting tool includes full guarding for the saw blade when in the upright position, as well as locking mechanisms on the pipe cutter's handle to prevent inadvertent release, the fitment of a 'fail to safe' control switch on the drop arm of the machine which prevents unexpected or unsupported movement, and an enclosed barrier between the operator and the 'cutting zone'. PIHA also went on to say that with the tool being electrically driven,the operator's exposure to industrial noise and vibration is minimised, keeping operating and noise levels low to further increase operator safety. TIKS Pre-Start - Chocolate Coded For the development of a solution which allows employees to complete pre-start forms on smart phones and tablets, Chocolate Coded has been nominated for the Excellence in Mine OH&S Award. Not only has the system eliminated the need for paper forms, the solution allows the workforce to capture images of any faults, identify fault patterns and set alarm notifications and complete system integration. The company says pre-start forms are custom-built for each operation and can be sent to HSEC managers, increasing safety on site. Coal Chute - T.W. Woods A coal chute refurbishment which helps eliminate problems such as premature chute and conveyor belt wear and blocking and product spillage has seen T.W. Woods nominated for the Excellence in Mine OH&S Award. The mining engineering company explained that the service applies to both underground and overland conveyor chutes used with mine and energy plant conveyors typically between 900-1200 millimetres with and up to 1200 tonnes per hour capacity. It also applies to chutes used by quarries. Refurbishment componentry, includes soft loading chutes in hood and spoon configurations and more robust materials such as high-impact, wear resistant chromium carbides. T.W. Woods also incorporates large radius turns into the chute design, which allows material to flow easier and not hang up, reducing wear on the chute and extending its life. JK Jigger - Eagle Alternatives For the development of a blast suppressor for underground mining operations, Eagle Alternatives has been nominated for the Excellence in Mine OH&S Award. The company says since fully fitting out a working mine comprising of over 100 Jumbo, Jumbo/Pump & Pump Boxes with 50% of the boxes having two isolators handles on them there has not been a single isolator handle damaged from boxes fitted with JK Jiggers. Operators can see if the outlet can be isolated or not by ensuring the correct position of the isolator switch. 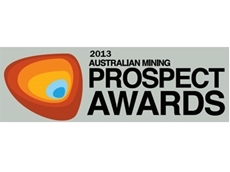 29/10/13 - The shortlist for the 10th Annual Prospect Award's always heavily subscribed Innovative Mining Solution category. 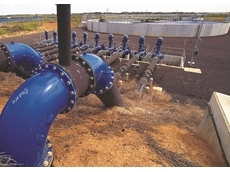 ICMS - Bramco Electronics The Australian owned Bramco Electronics has developed a short line control and monitoring system which uses a single control unit for the integration of all monitoring points along the conveyor belts. The Integrated Control Management System (ICMS) is a microprocessor controlled system which can be used to either control or monitor the status of conveyor belts. Providing a cost effective solution to the mining sector, Bramco's ICMS includes built in diagnostics, eliminating the need for a separate diagnostics card. The system can withstand extreme conditions operating between -35 and +65 degrees Celsius, enabling comprehensive performance monitoring. Drill alignment - Downhole Surveys Downhole Survey's new drill rig alignment solution, the Azimuth Aligner, utilises fibre optic gyros technology to improve drilling productivity and precision. The Azimuth Aligner enables underground and surface drilling rigs to be aligned by the driller in under five minutes, a task that traditionally takes about 1.5 hours. Requiring no foresight or backsight pins and no GPS, the aligner doesn't require surveyors and geologists to supervise the setup process. The portable device also reduces risk associated with breakthrough holes in underground mines. JK Keeper - Eagle Alternatives Eagle Alternatives have designed a fuse keeper that can secure a fuse from the shock caused by explosions and machinery vibration, keeping control power fuses inserted and control power on, in the electrical box. The JK Keeper is a moulded plastic two piece device, connected together in a way that allows the top paddle to spin in an upwards direction to give room for the fuses to be removed and replaced as required with an internal spring to ensure it returns to the retaining position easily. Vertical Miner - Mancala Partnering up with German company Herrenknecht, Mancala has developed a Vertical Miner which uses field proven pipe jacking techniques to create a new approach to boxhole drilling. Typically boxhole drilling sees an operator exposed to falling rocks during drilling, the Vertical Miner operator is stationed remotely from the machine, increasing worker safety. Designed to boost productivity, the Vertical Miner provides significant time savings compared to conventional drill and blast operations or other existing raise drilling methods. Mancala's Vertical Miner has provided the mining industry with a machine that is able to do the same job safer and faster compared to conventional systems. SentineX - Novecom Novecom has transformed established noise monitoring procedures to incorporate the continuous operating nature of mining activities. SentineX is a monitoring, data acquisition and reporting platform which operates remotely to provide advanced capabilities for the continuous monitoring of environmental conditions with minimal human intervention. The system enables users to manage the environmental impacts of their operations in real time, allowing quick, informed responses around noise, water, and dust monitoring. Pipe Cutter - PIHA Taking inspiration from the humble chainsaw, PIHA have developed an engineered pipe cutting solution which removes operators from the cutting zone when sawing HDPE pipe. The PCI's saw blade is fully guarded when in an upright position, has an easy to reach fail-to-safe control, a locking mechanism to prevent uncontrolled releases, and is fitted with a physical enclosed barrier between the operator and the cutting zone. Electrically driven, it reduces exposure to noise and vibration and can be used for cutting medium to large diameter HDPE pipe. Mining Supply Chain Suite - Quintiq The Quintiq software platform powers reality-based planning, scheduling and optimisation for complex business processes across all planning horizons. The Quintiq Mining Suite introduces methods and solutions used in other industries, which have traditionally not seen the profitability margins in boom time mining, to control production costs including optimised maintenance planning, workforce rostering, and inventory supply lines. Creating an integrated planning environment at the enterprise level, Quintiq's software aims to optimise operations from pit-to-port. Women's mining PPE -She's Empowered Recognising a lack of suitable PPE for women in the mining sector She's Empowered has launched a line of tailored hi-vis workwear. With maternity options and sizes ranging from 6 to 16, the 100 per cent stretch cotton fabric is strong but not harsh, feels comfortable against the skin and allows for a full range of movement. The entire range is Australian Standard compliant, and even the buttons are enclosed - making ironing much easier. The flattering design aims to make women feel more comfortable in their uniforms on site. 25/10/13 - The shortlist for the 10th Annual Prospect Awards Contractor of the Year. Significant Environmental Services Significant Environmental Services differs from a lot of the other environmental services companies out there as it essentially acts on behalf of multiple mining companies as a one man operation, using sub-contractors as required. Owner and operator Matt Holmes started the company at the back of the mining boom, when he saw an opportunity to aid smaller mining companies and explorers in meeting their ongoing environmental obligations. At the time many of these companies were unable to afford the high prices of the major environmental contractors, or had enough work to rationalise the hiring of someone full-time. Holmes business, Significant Environmental Services, fills this void. "There was not enough work for a full-time Environmental Manager at many operations, which often amounted to only around three months of work per year; I offer value for money and practicality to fill this void for many small to medium sized mining tenement holders," he said. Abergeldie Abergeldie has been nominated as the Contractor of the Year for its innovative work in developing Ulan West's ventilation shaft. The Ulan West Ventilation Shaft contract was for design and construction of a 4.5m finished diameter, hydrostatically lined, vertical ventilation shaft to a depth of 46m to serve underground coal mine workings at GlencoreXstrata's Ulan West Operations. Initially the client proposed that the shaft was to be sunk using a drill and blast methodology. Mechanical rock breaking equipment was to be used and lining and shoring would be carried out progressively in pace with excavation, using interlocking precast concrete segments. Abergeldie's alternative methodology proposal that blind boring be adopted as methodology for sinking the shaft was accepted and welded steel liner segments were used in lieu of the originally proposed segmented concrete liners. Practical thinking and careful planning resulted in the shaft being successfully delivered on time and on budget with zero safety transgressions or environmental incidents and allwithin the specified window of availability of Abergeldie's blind boring drill rig. ODT Australis For its work in the Whiskey Swamp mine rehabilitation project, ODT Australis has been nominated for the Contractor of the Year award. Operations at the sand mine ceased more than five years ago, with rehabilitation starting in April. The scope of work involved returning the site to its natural environment and removing any items deemed artificial to its natural state, however the challenge of this task was increased by the fact that there were several different stake holders.BHP Billiton, the Kokatha Uwankara people, the Department for Manufacturing, Innovation, Trade, Resources and Energy (DMITRE) and former leaseholders all had a stake in its rehabilitation.ODT worked closely with the Kokatha to rehabilitate the site, with a representative present for the duration of the site's works. It completely reseeded the site, removed all rubbish, demolished structures on site, and carried out scarification of disturbed areas to promote re-vegetation. Orontide For its work in providing BHP's Leinster nickel mine with a unique ore handling system Orontide has been nominated as the Contractor of the Year. Earlier this year Orontide was engaged by BHP Billiton NLN to design, supply and install a new underground orepass system for their Leinster underground operation. The underground orepass system is used to break nickel ore into smaller sizes through a rock breaker, filter it through grizzly panels and into a 20 metre deep orepass. The orepass was comprised of a series of 40 tonne liner cans made from quenched/tempered Hardox steel. Replacing orepass cans and large grizzly panels has always presented great challenges and risks to workers involved due to the requirement for the task to be performed whilst suspended over open voids/under suspended loads, and often whilst undertaking hot work tasks simultaneously. Orontide Group Limited is pleased that it not only achieved no injuries during the installation, but halved shut down times. Action Drill & Blast Action Drill & Blast have been nominated as the Contractor of the Year for the development of new technology that is aiding efficiency on site. It created a new ANFO Hopper which fits onto a front end loader or interchangeable tool carrier and safely carriers 1.8 tonne of ANFO explosives into sloping and uneven ground where blasting activity previously required manual handling of bulk explosives. By developing this hopper Action Drill & Blast has greatly reduced the risk of injury on mine sites through repetitive manual handling and carrying loads whilst walking on rough ground. It came about after the contractor asked "how can we best protect our show crew in carrying out their day to day duties?" Direct delivery into the blast hole from the hopper also enables more accurate record keeping of explosives consumed on a hole by hole basis. The use of the hopper also reduces the number of personnel required for contour blasting and provides a quicker turn around in the delivery of product to the blast holes.